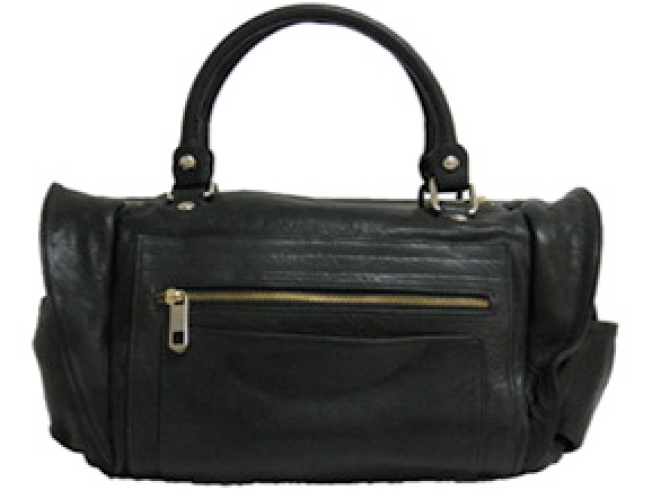 The famous "Matinee" bag by Rebecca Minkoff is currently half off. Until December 31, the celebrity-favored handbag designer is offering up to 50 percent off on select styles on her web site. Now, don't let "select styles" fool you#8212;she's not saving all of her good stuff for full-price. Right now, the Parisian-looking "Bread and Wine" tote is under $100, the fashion insider favored "Matinee" is down from $630 to $315, and even the legendary "Morning After Bag" is marked down from $595 to $297.50 in nine different colors—from classic Noir to Charcoal Patent. If you haven't taken a peek at the luxury e-tailer's Holiday Guide, here's a little taste: Dita Von Teese and Jade Jagger are just some of the guest editors, highlighting everything from a hot pink La Perla lingerie set to a Kenneth Jay Lane cocktail ring. Delve a little deeper and you'll find seriously big names like Marc Jacobs and Miu Miu at up to 50 percent off in their sale section. A hub for incredibly desirable indie labels like Alexander Wang and H Chalayan, this place has an incredibly well-stocked sale section that even includes Mayle. That's right: Mayle. There's only a few more months where you'll even be able to find this brand online (or in stores anywhere), so we suggest you buy up now.